Only managed to spin half of the 2nd Rambouillet braid, I think (didn’t check) it matches the first in type pretty well although consistency went out the window along the way. I have another Ravelry challenge this month, so I better get the last half done. Or maybe I won’t actually (keep reading)! Fiber for the challenge is Targhee. As you know I’ve been thinking about how to simplify my hobby life without actually cutting some of them off completely. The other day (while hanging wet laundry of all things!) I also got to thinking about “The Purpose” vs. creativity, my knitting and all things yarny and if they fitted into all this in any way. Why I keep planning to plant dye now that I A. have learned how to do it and B. don’t really have an actual purpose/project for it. I’ve been feeling quite ambivalent about that. And then it dawned on me, that I don’t really have to focus my yarn habits on knitting. At all. I’d already been contemplating not doing so many garments, but trying to work on smaller objects instead. I only knit sweaters when I learned, then I didn’t knit at all for about 20 years, so when I picked it up again, it was sweaters. And specifically, I like to design them myself, more fun that way than just producing a copy of somebody elses work. Then I learned how to spin, so the next logical step was: I won’t buy more yarn, I’ll spin and dye all that I knit with. The thing is, I’m not terribly good at sweaters. I can think up cool stuff, but it’s no way as cool as what many, many other designers can think up. Ergo, I don’t see a “carreer” as a knitwear designer in my cards, really. I always get something about the fit not exactly right and completely pleasing. I know this can be learned, but is seems I’d have to work very hard and dedicated on it in that case. 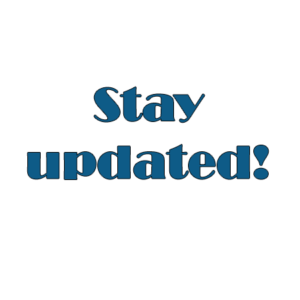 And it appears more logical to focus on the areas that you already seem to be at ease with than try to develop the ones where you struggle, right? I often take very, very long to finish sweaters, starting multiple and then leave them all with one sleeve missing. I get bored. It’s not the clickety part of knitting that fascinates me the most, in fact if I could just have the ideas and then get someone else to do the actual work, I’d be totally cool with that…. Or get a machine. What I really want to do is design the yarn. Play with colours and textures in all sorts of ways. And the yarns I think up are just NOT suited for my wardrobe, no little inner gypsy waiting to come out, I really like it plain, classical and casual. And inconspicuous on the street. 😉 Crazy clothes on other people I dig, but it’s not me. So I ran into this book at the library, and I know I’ve mentioned it previously as a frivolous idea of adding yet another activity. But now I’m thinking – I think in pictures, I want to paint, I’ve been taking photographs for decades – tapestries are really much closer related than clothes. It doesn’t look harder to learn than new knit and crochet stitches. 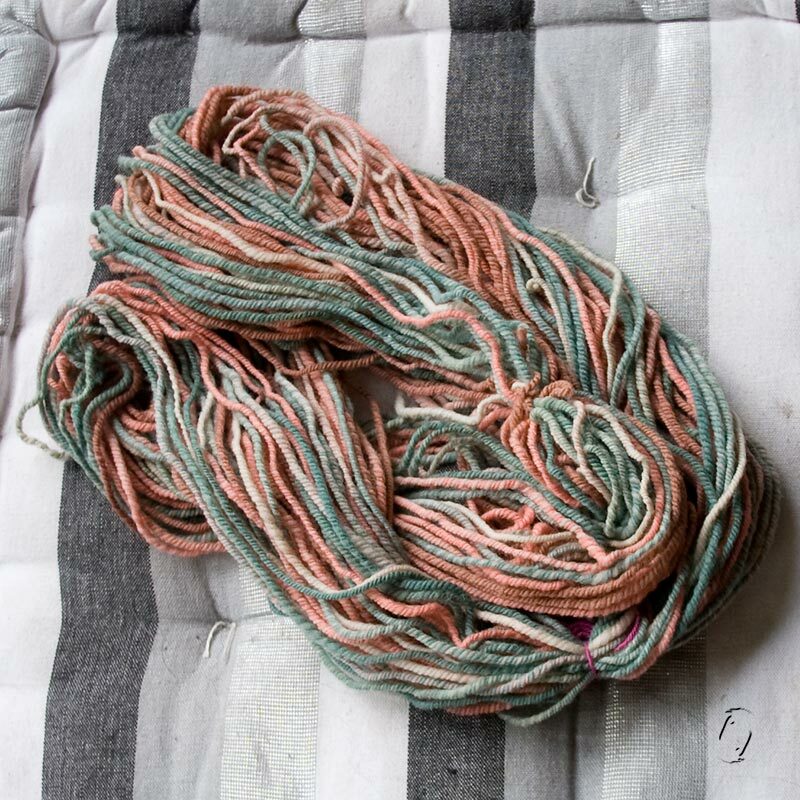 I can keep using the cheap yarn for plant dyeing instead of worrying about the cost of getting a good, soft type to work with that I can tolerate next to my skin. Amounts per colour also isn’t that much of an issue, nor with spinning. No need to chug through 800 g of brown Shetland fiber. A small tapestry loom for starters really is dead easy to construct, so no huge investments. Thinking in image creation only, I can hopefully arrange them as serial projects more often rather than parallel, better focus through singletasking. Get more done in fewer hours per day leaves more time and energy for chores, horses etc. and no scatterbrain. And if I do feel like knitting sweaters I can relax and do some of other people’s really cool designs that would make me feel better about wearing them and even pretend to be more fashion conscious. And even buy those yarns perhaps, at least in part. Less stress on a lot of levels I think (hope). It feels good. 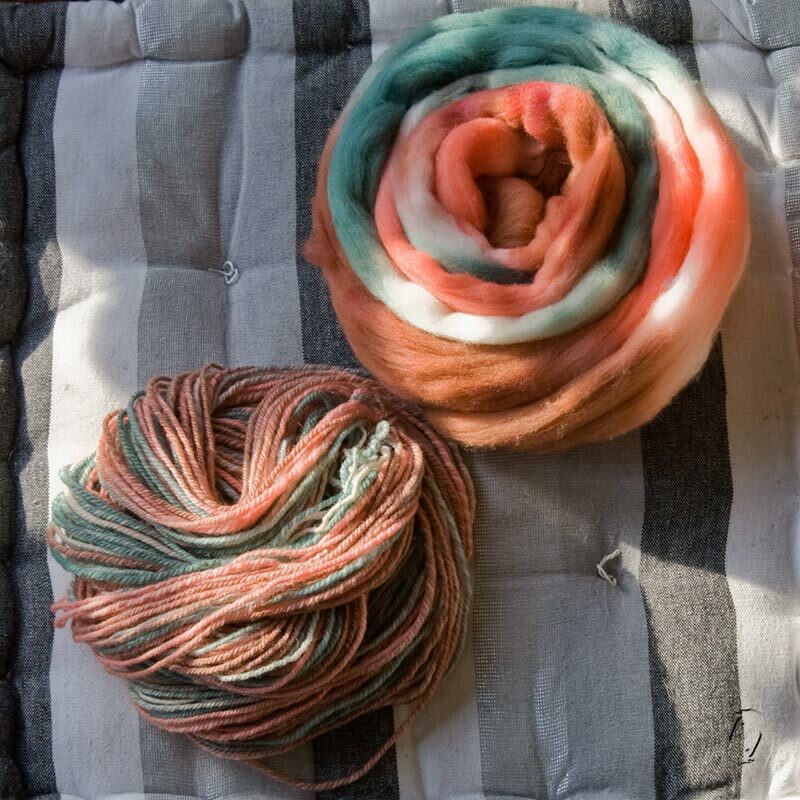 Maybe the weaving turns into felting images instead, which removes the time it takes to spin…. It would make my hobbies more unified somehow, the fiber being just another painting medium. What do y’all think? The effect won’t kick in immediately – I do want to finish my current knitting WIPs (6). But spinning will be different, my approach will be different and I won’t be actually getting ready to weave or even think about tapestry projects. Unless they happen on their own. It’s just there as an option for when I want to work with yarn, not paint or Photoshop. Synchronicity of the day: 2 hours after I pressed Schedule on this post I see a news flash from World of Wool announcing a workshop with a tapestry weaver. I can’t go since it’s in the UK, but they usually write about felting…. Det lykkedes mig kun at få spundet halvdelen af ugens fletning, men jeg synes den matcher de foregående rimeligt i type og tykkelse som planlagt. Dvs. det tror jeg den gør, for jeg har faktisk ikke hevet dem frem og sammenlignet! Og så har jeg ellers haft mit strikke- og fiberliv oppe til revision, for jeg har alt for mange aktiviteter jeg gerne vil, ikke når og så får dårlig samvittighed eller stress over. For ikke at snakke om de huslige ting, som jeg så ikke gider fordi jeg mangler energi. På den anden side synes jeg det er svært at vælge noget fra, når det nu interesserer mig! Jeg har ikke lyst til at gå rundt med skyklapper. Jeg har også spekuleret over, hvorfor jeg bliver ved med at samle farveplanter, jeg har jo sådan set lært hvordan man plantefarver nu, men jeg har ikke nogen egentlige projekter planlagt med det. Og nu har jeg så besluttet, at det er strikningen som kommer på vågeblus. Jeg havde allerede besluttet at jeg ville begynde at tænke i små strikkeprojekter fremfor trøjer, som er min standard, for det er det jeg bruger mest i den genre. Jeg er nemlig laaaang tid om at strikke en trøje, jeg begynder at kede mig halvvejs og finder på en ny osv. Det jeg egentlig har mest lyst til er at bare designe garnet. Lege med farver og skøre ting som ikke kan bruges i min garderobe alligevel, jeg er mest til det enkle og neutrale på det område. Så faldt jeg over en bog om billedvævning og tænkte, at måske jeg bare skulle satse på det istedet. Så er mine hobbies mere ensartede, male, foto – det hele er bare billeder med forskellige medier. Så får jeg samlet mit fokus en lille smule? Jeg vil også kunne have en samling blandet garn i mindre mængder, behøver ikke bruge krudt på at spinde 800 g hver gang. Jeg behøver heller ikke købe dyrt, blødt strikkegarn til plantefarvningen, jeg kan bare blive ved med at lege og eksperimentere med det billige. Det er ikke svært eller dyrt at bygge en lille væv selv til en start, og det ser ikke sværere ud at lære end nye strikketeknikker. Hvis jeg så vil strikke, kan jeg slappe af og prøve nogen af de virkelig lækre designs som andre har udtænkt i stedet for at ville lave alting selv fra bunden. Men jeg har endelig erkendt, at det er garnet som sådan der tænder mig, mit hjerte er ikke rigtig i strikningen som process selvom jeg er glad for de færdige resultater. Bare en ide – som jeg har tænkt mig at afprøve. Måske får jeg ligefrem overskud til ridningen igen!? Q – Love this post! A while back I rhetorically asked my husband, “Why do I do so many things?” (Meaning hobbies) He replied, “That what makes you, you!” Made me feel a lot better. It’s just me being me! I think there’s a lot of potential with tapestry weaving to use up all kinds of bits of yarn without concern for thickness, twist or fibre. The drawback is, unless you’re working on small pieces, it’s not as portable as knitting! I seldom bring knitting or spinning anyway, when I’m away from home I’m usually driving or shopping or doing other things with my hands. And of course this evening brought more tapestry links on my regular blogroll, no, I did not look for them! I’m happy to hear I can be a bit of an enabler! Poetry in yarn sounds amazing. If there’s anything you want to know, just ask, I’ll do my best to answer or even write up a tutorial. Jeg synes det lyder som en rigtig god ide ! Så må vi jo se hvad det bliver til hen ad vejen! 🙂 Man skal følge den røde tråd, også selvom den ikke altid fører derhen, hvor man troede den ville. there seems lots of good reasons ( if you need them) to try the tapestry … and i think it would be a much better way to show your beautiful dyed yarns than a wash cloth !!! You are a kindred spirit! 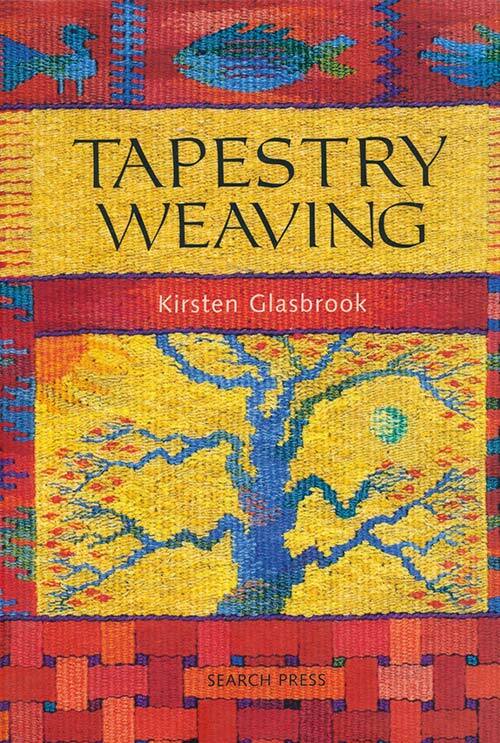 I have that tapestry book too and it’s started me down a whole other yarny street. I am also playing with the whole idea of fibre as canvas – and I’m thinking about painting on knitted wool literally. Look forward to following your creative journey! Combining knit and paint? Why not?! I actually had an idea a couple of years ago, when I got back into knitting, of knitting pictures, before I thought of the tapestry thing. One could even go 3d, put knitting on top of paintings, well, let’s see what we come up with! Have you been doing woven tapestries yet? I did the first part of the tapestry sampler in The Tapestry Handbook, with some acid-dyed and hand-dyed yarn. Must take a picture and put it on the blog! I did a lot of plain weaving and then all the picking techniques. I did one block and then signed off. Now I don’t remember why – probably some frustration with using a rigid heddle loom. Not the loom itself but the nasty stand I have. I’ll move it to a table. Since then I’ve acquired a very small loom suitable for tapestry and other small items. I wove an amulet and a bowl. But tapestry is calling to me.